I grew up in Minnesota but currently live in Chicago. This means that I often fly back to Minnesota for family occasions and holiday gatherings. The sub-hour long flight has just enough time for one round of drink service in the cabin. Typically, I opt for whiskey or plain water given the lack of craft beer offerings on most airlines. Now, that might all be changing. 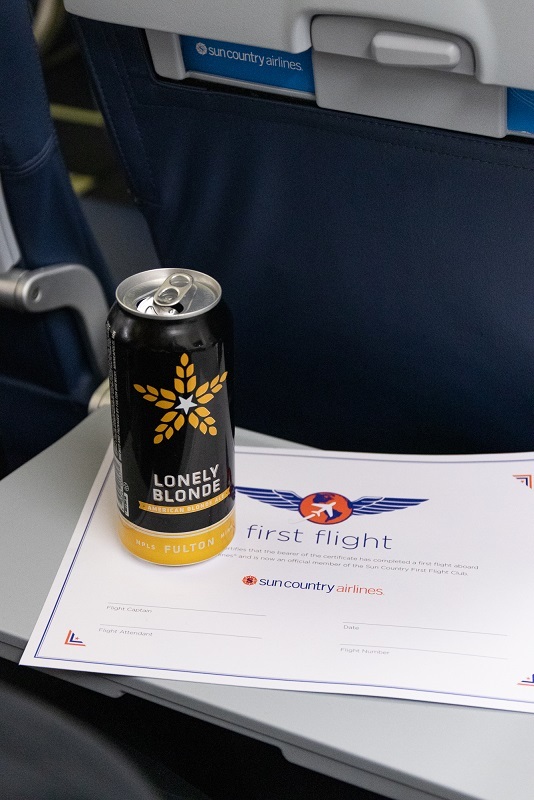 A few weeks ago, Minneapolis-based Fulton Brewing announced that Sun Country Airlines would be offering their Lonely Blonde Ale on flights for the first time alongside their current craft option, Surly Brewing’s Furious IPA. It’s an exciting move that shows airlines aren’t averse to the changing drinking demands of consumers. I spoke with a few airlines along with Fulton to get more info on how these partnerships work and what beer drinkers should expect on flights. Beverage and food service during transit has always been a way for airlines to drive added revenue. 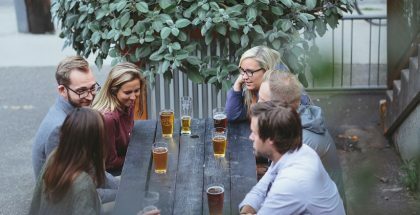 You have a captive audience who might be a stressed or tired; a perfect storm for those looking to have a few beers to calm the nerves. That said, while free peanuts and pretzels have been around for years, it has only been recently that airlines started adding craft beer and spirit offerings to their drink menu. Macro-made lagers like Bud Light and Miller Lite are cheap to store and transport, and appeal to a wide array of consumers—a perfect fit for airlines looking to generate an extra buck. 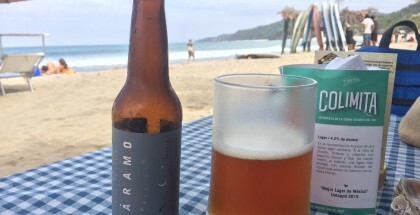 That tide has started to turn, however, as craft beer becomes further and further integrated into local communities. The local element was a big factor for Sun Country Airlines when they decided to offer craft beer during flights alongside Michelob Ultra. 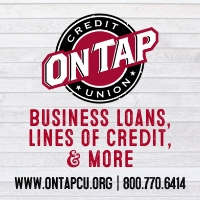 Based in Eagan, Minnesota, Sun Country saw an opportunity to bring local craft options to a customer-base well versed in Minnesota beer. That initiative started with the airline offering Surly’s flagship IPA and has now expanded into offering Fulton Brewing’s Lonely Blonde Ale and local Prairie Organic Gin. 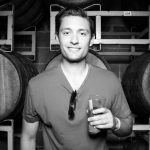 According to Fulton’s director of marketing Tucker Gerrick, the partnership with Sun Country came together quickly, primarily because both parties recognized how logical of a fit Fulton was to their limited, yet craft-focused beer offering during flights. Sun Country’s strategy of offering a larger range of unique beer offerings reflects a larger trend in the airline industry. These massive companies are beginning to see that offering flyers a selection of beer options on flights is a great way to boost sales. Delta Airlines offers local Atlanta favorite SweetWater 420 Extra Pale Ale on flights alongside other macro offerings. Airlines like United and Southwest offer a range of “big beer” or “big beer-owned” options that run the gamut from Wheat Ales to IPAs. United currently offers beer from the likes of AB InBev-owned Breckenridge Brewing and Goose Island. Southwest’s beer menu includes the likes of Heineken-owned Lagunitas IPA, Kona Brewing (backed by AB InBev) and a rotating selection of MillerCoors-owned Leinenkugel’s. Regardless of whether it’s true craft or not, it’s clear that airlines are hyper-aware flyers want options during. “We continue to look for ways to enhance the experience for our customers throughout their journey, especially once onboard their flight,” said Southwest Airlines spokesperson Michele Agnew. Did you hear? We’ve added new menu items! 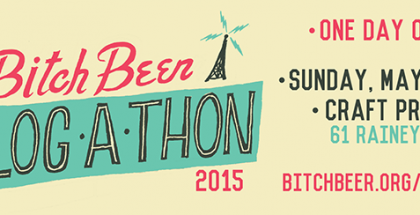 Enjoy a taste of Minnesota with @fultonbeer and @prairieorganic. Sip and share your pictures using #MySunCountry. Adding new beers and new styles to in-flight service is always going to a be a positive. Knowing you’re drinking and supporting a local operation only adds to the experience, which is why I was so excited by the new Fulton and Sun Country partnership. 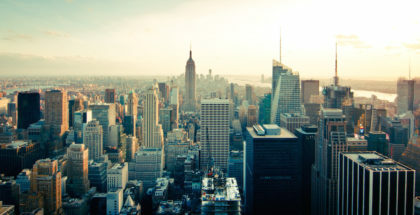 It’s clear that the demand for craft beer is here to stay, so I wouldn’t be surprised to see it continually nudge its way into the captive drinking audience and facilitate greater selling partnerships with the airlines. “I mean, you’re in the air with little choice, this might just be one more beer but it doubles the choices you have from a craft brewery. Hopefully over time the in-flight teams at Sun Country will become more and more familiar with our company’s story and product and eventually become brand advocates themselves,” said Fulton’s Gerrick. Cheers to more beers coming onboard soon. I know I’ll be looking for a Fulton Lonely Blonde the next time I fly home.